It's remarkable to think that it wasn't so long ago that cars like the Honda Civic were considered exotic at best, at worst a downright unpatriotic purchase. 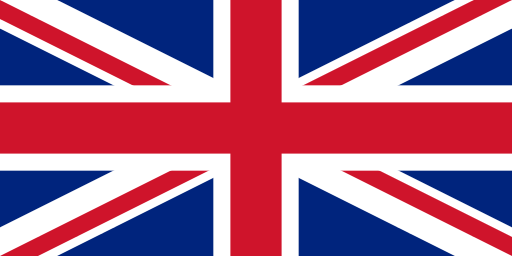 Our collective attitude has most certainly moved on since the late '70s though, and the Civic, built in Swindon and then sold all over the world (including Honda's native Japan), is now a key part of the UK's automotive landscape. It helped that Honda was one of the first mainstream car makers to embrace motorsport, and also one of the first to appreciate the value of building performance versions off the back of said motorsport endeavors, in the process giving us cars like the Civic and Integra Type R, cars that have gone on to become fixtures of the UK's tuning fraternity. Forge Motorsport has catered for the Honda Civic in a big way for several years now, hence why we've opted to put together another blog post, this time covering key Forge tuning parts for the latest Type R, the FK2. 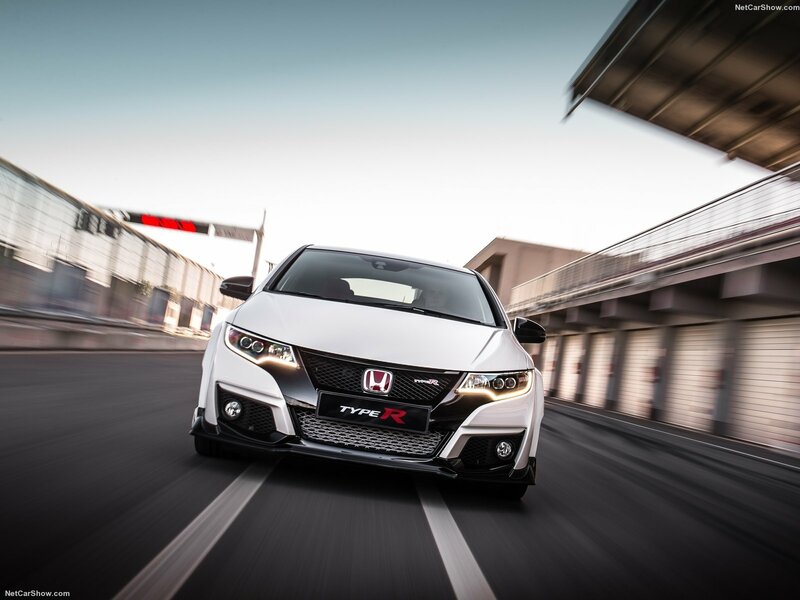 The FK2 is the first Civic Type R to make use of turbocharging, and this makes it a contentious car amongst certain sections of the Honda faithful. Whatever your thoughts on forced induction, this uprated Front Mounted Intercooler (FMIC) kit for the latest Civic has the potential to bring large performance benefits. The bar and plate core measures a massive 660×150×120 wide and has up to a huge 100% more volume, its larger size making full use of the large volume of spare space Honda opted not to utilise. Forge's intercooler kit is a hefty one, hence why its maker has opted to design it in such a way so as that the OEM intercooler mounting points are retained, while the equally well thought out end tanks have been arranged so that the standard boost hoses can, if the buyer so wishes, be retained. Factor in the complete fitting kit supplied with the core, and it isn't that much of a surprise to learn that the FMIC can be fitted within 3 hours. Forge has tested this product extensively, and this process has yielded impressive hikes in performance and reductions in inlet temperatures, though the Civic in question will have to be re-mapped to make full use of the new hardware. Another product that proves Forge really doesn't hang around when it comes to devising new kits for equally new cars, the firm's uprated oil cooler kit. 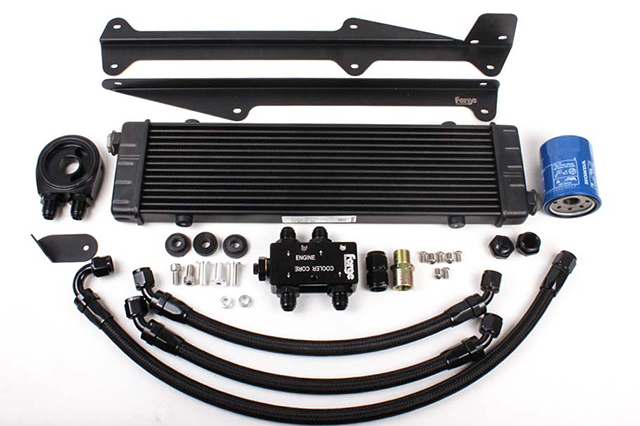 Granted, oil coolers don't come with as much pub bragging potential as the intercooler kit mentioned above, but that doesn't make them any less significant – far from it. 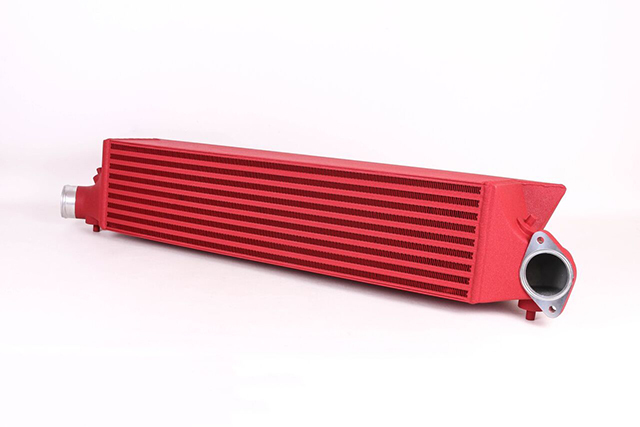 The Forge offering is based around a genuine Setrab oil cooler core measuring 490(w) x 124(h) x40mm(d), a size that perfectly matches the front grille aperture of the Civic. The Forge kit is also cleverly designed, sitting in full air flow and intended to be mounted in such a way that oil flows into the top of the cooler and exits through the lower outlet, thus avoiding any chance of oil cavitation, and in turn ensuring peak performance. The kit also includes a thermostat intended to open at 80 degrees C, allowing a greater volume of oil to flow through the core. Hose Technik is Forge's performance braking division, a sector of the company that really has gone from strength to strength in recent years, this braided brake line kit being but one example of this. Uprated, braided brake lines have long been one of the most effective and affordable options available to the performance motorist, and the Hose Technik kit for the FK2 Civic Type R is no different. 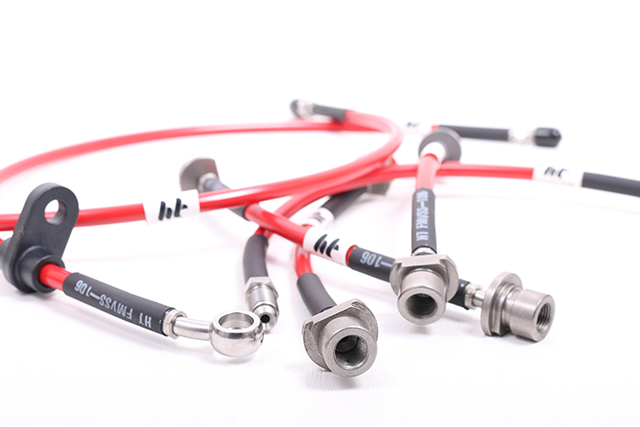 Six ultra-high performance brake hoses are included within the kit, each Teflon-lined and with braided stainless steel bodies with custom machined stainless steel fittings, and all available in no less than 12 hard wearing PVC sleeve colours. Not only do these sleeves look great and act as a barrier against road grime and salt, they allow the buyer to pair the hoses with the colour or style of their particular Civic. Perhaps the biggest change wrought by Honda's decision to install a turbocharger to the latest Civic Type R is the degree of tuning schemes now available, hence why Forge Motorsport has been quick to develop an atmospheric valve kit for the FK2, one that will no doubt prove all but essential on those cars running big power and high boost levels. Designed and manufactured in house by Forge, the valve and kit gives the customer the choice of installing it in combination with the OEM recirculating valve, or on its own using the blanking plate supplied. It also boasts a robust twin-piston design which allows for tuning and tweaking using interchangeable springs. Another of those products that far too many individuals overlook in their quest for power, boost hoses can rapidly become a weak link in a car's induction system, especially if the hoses in question are of the standard variety and the car itself has been tuned. 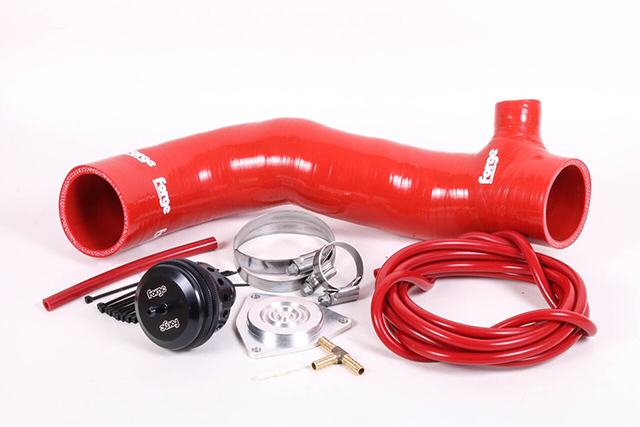 Forge Motorsport's recently launched boost hose kit heads this potential issue off before it can become a problem, while also ensuring that tuning further down the line can be achieved without compromising reliability. 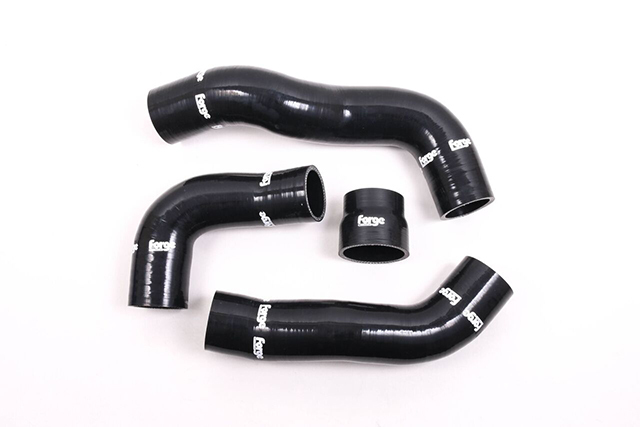 The kit contains 4 silicone boost hoses which replace the intercooler inlet and outlet, turbo inlet and throttle body inlet, and all contain an expansive inner liner of modified silicone known as Flurosilicone. 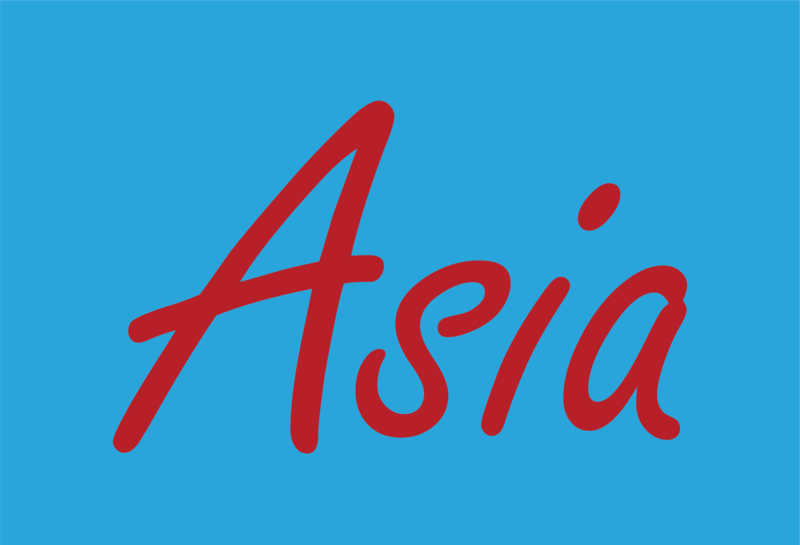 This ensures that all 4 hoses are suitable for use with modern long life coolants, Organic Acid Technology coolants or air containing oil mist. All are constructed to OEM-exceeding levels, and all are covered by Forge's lifetime warranty.